Mix Juice Butterscotch Pudding is a gorgeous, incredibly faithful recreation of a much loved dessert. A creamy, sweet, almost custard like e-liquid that will be hard to put down. An absolutely sublime vape juice, decadent to the last drop. 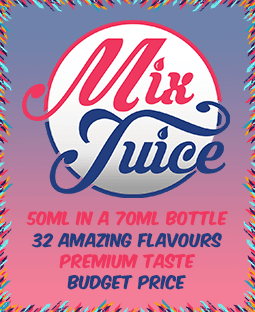 You can buy your Mix Juice Butterscotch Pudding on its own, nicotine free or you can add 10ml or 20ml or Nic Shot to create your desired strength.